Our chapter today is Psalm 113 – and in it we are given 10 reasons for us to daily praise the Lord. 1. He is higher than anything and anyone (vs 4). 2. He outshines everything we can see in the skies (vs 4). 3. Nothing or no one can compare with Him (vs 5). 4. He “humbles Himself” to survey things in Heaven (vs 6). 5. He “humbles Himself” to survey the corrupt conditions of the earth (vs 6). 6. He picks up the poor from out of the dirt (vs 7). 7. He rescues the wretched who’ve been thrown out with the trash (vs 7). 8. He seats them (poor and wretched) among the brightest and best, honored guests (vs 8). 9. He gives childless couples a family (vs 9). 10. He gives the joy of motherhood to the formerly barren woman (vs 9). 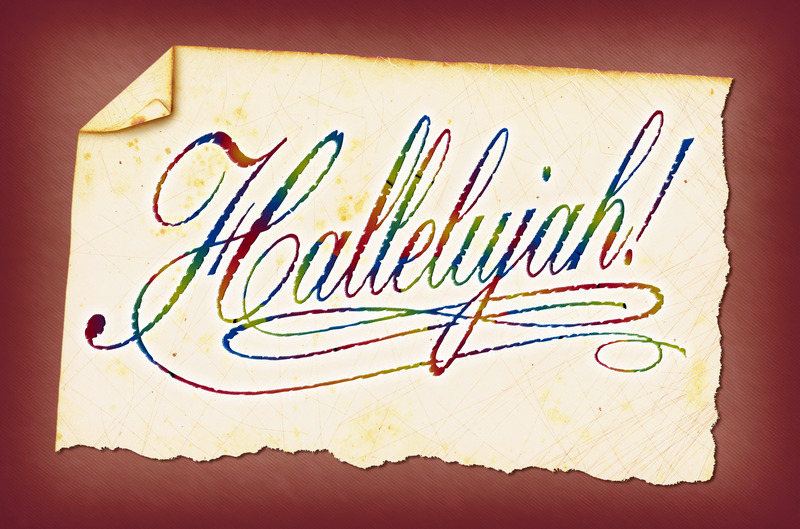 After proclaiming all of that – the psalmist ends as he began… “Hallelujah” (Praise ye Jah)! A wise people will learn from those who have gone before them – steering clear of the things that caused them trouble and embracing those choices which led to victory. Taking a “but that was back then” approach will only lead us through the same pitfalls others have descended before us. In Psalms 105-107 we see the Psalmist taking his audience on a crash course through history. He recounts the many mistakes those before them made, in the hope that it will help the people of his day avoid repeating them. Notice that the writer revisits the miracles that the Lord has performed for His people – to save them, yet, time and time again the response of His people is rebellion. (Just like us today) they forget what the Lord had done once the issue was corrected and time had healed the wounds. Vs 7 sets up this cyclical pattern… “they gave no thought to your miracles… they did not remember your many kindnesses…”. A verse earlier the Psalmist admitted that this was the pattern that his current generation was repeating; “We have sinned, even as a fathers did…” (vs 6). But then verse 8 comes in… the King James Version uses the word “Nevertheless”. That is a very powerful word and a wonderful key to who our Lord really is. The people sinned – forgot the good that was done for them – rebelled… but NEVERTHELESS, the Lord saved them. That is grace in action. Although they did not deserve it – NEVERTHELESS God intervened and rescued them. Once God saved them – it all suddenly came back to the people. They figured out that their calamity was due to their rebellion – and they “believed His promises” once again (vs 12). This is another wonderful lesson for us. The Promises of God (as outlined in His Word) are for all of us forever – and we can bank on them. When we remember those Promises, we can enjoy them… but when we forget – we experience trouble. Simply… really. Look at the next verse… “But they soon forgot what He had done.” (vs 13). They forgot – and the result was they began to crave (desire) things contrary to what the Lord had given them. So He “gave them what they asked for…“ (vs 15) – and that led them into all sorts of problems. It wasn’t Big Meany God who did it – He simply gave them what they rebelliously clamored for. They forgot the past mistakes – failed to learn their lessons – and instead threw a tantrum in the desert – demanding their own way. So God gave it to them… and it hurt both themselves and God in the process. The traded the powerful God (who had saved them so many times before) in exchange for powerless idols crafted in the images of fat cows (who eat grass) (vs 20). “They forgot the God who had saved them…” (vs 21). “They did not believe His Promises…” (vs 24). “They grumbled…” and “did not obey the Lord” (vs 25). Then watch what happens next: In verses 30-31 a guy named Phinehas (a pastor) prays for his people and the calamity is stopped. God sees this simple act of faith and it moves His heart so much that He not only blesses Phinehas – but everyone around him and future generations! One act of faith – one prayer – one guy who chose to believe God and “stand in the gap” for the people. Fast forward to vs 43-44. The same old story… “Many times He delivered them, but they were bent on rebellion…”, NEVERTHELESS – He heard their cry for help and saved them! After all of these warnings, this great psalm ends with a final powerful picture. Did you see that? God repented. He remembered His Promise to His people – and when they cried out and believed Him… He repented! The word for repent is NACHAM and it means “to be sorry in a favorable sense; to change ones mind”. That is what God does! When we turn and confess our sin – stop making the wrong choice and return to what He told us to do – He is filled with compassion and “relents our sentence” (AMP). 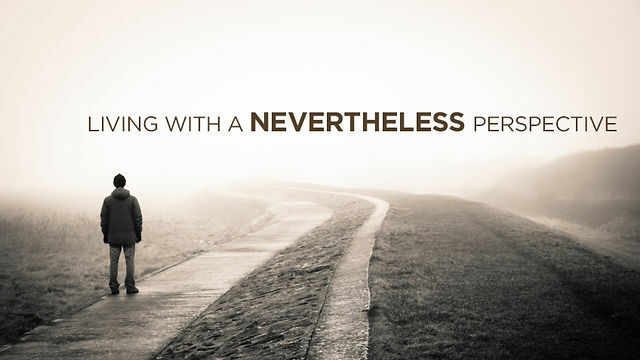 That is what NEVERTHELESS means!